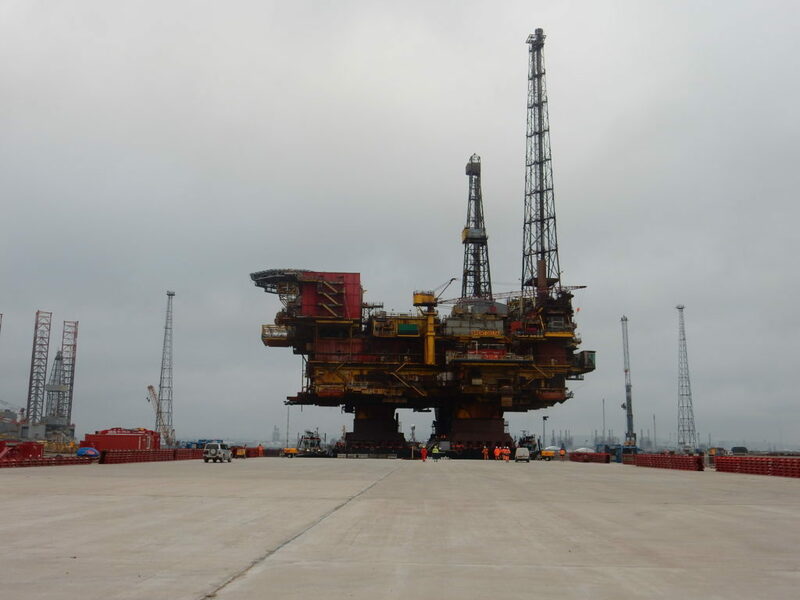 The Brent Delta platform with the flare stack and most of the accommodation block dismantled. The picture below also shows no helipad on the platform – it was one of the first parts of the platform to be dismantled. Current owner Able UK is even selling the sand it dug up when it was strengthening the quayside which would receive Brent Delta at its yard in Hartlepool. 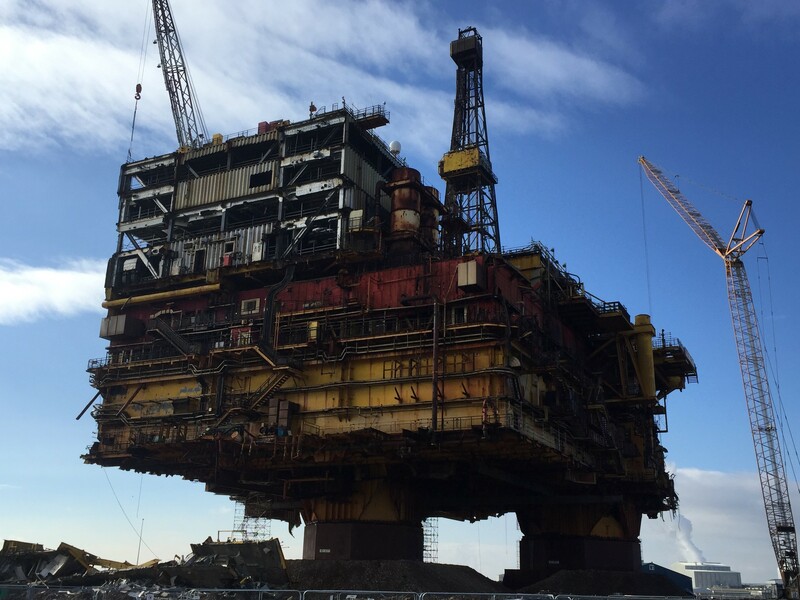 Alistair Hope, Brent decommissioning project director at Shell, which owned the platform during its 40-year operational life, said the dismantling process was about 40% complete. A platform that was three or four decks high has been stripped down. Most of the accommodation block, the flare stack, and the helideck have all been dismantled. Mr Hope said Able didn’t have a fixed scheduled, but the process could be sped up if more room is needed on the quay for the Bravo platform’s arrival. He said Able were experts on demolition and dismantling and had managed to achieve a recycling rate of 98.5% so far. But there are one or two things that are difficult to reuse. “The insulation from accommodation module – we have not come up with uses for that, yet,” Mr Hope said. Shifting the mould-contaminated coffee cups that were left in the galley ahead of the rig’s removal might also prove tricky. It seems they were given a smooth ride to Teesside aboard Allseas’ huge single-lift vessel, though. “One thing that amazes me is how the Pioneering Spirit lifted Delta and put it on the quay and the cups were still in the same place where they had been left,” Mr Hope said. Mr Hope is proud to have been involved in the project. Open days have been held for people who worked on Delta, allowing fathers to bringing sons and family along. Schools have brought their pupils for a look at the great, rusting hulk of North Sea history. Shell knew a lot of people worked on the installation for a big chunk of their careers and had an emotional connection to it. “We also had a small memorial service for people whose loved ones died on the platform,” Mr Hope said. Brent Delta prior to dismantling work commencing last August. Those behind the project want Brent’s impact to be felt long after the last piece of scrap has gone. Shell has learned a lot from Delta, which was heavily strengthened before it was lifted in one fell swoop by Pioneering Spirit. The Bravo platform, the next to be removed, will only require a quarter of the strengthening work Delta received, while Alpha will need just a tenth. Mr Hope said: “Decommissioning is a fantastic place to innovate and try out new techniques. It requires a different mind-set. 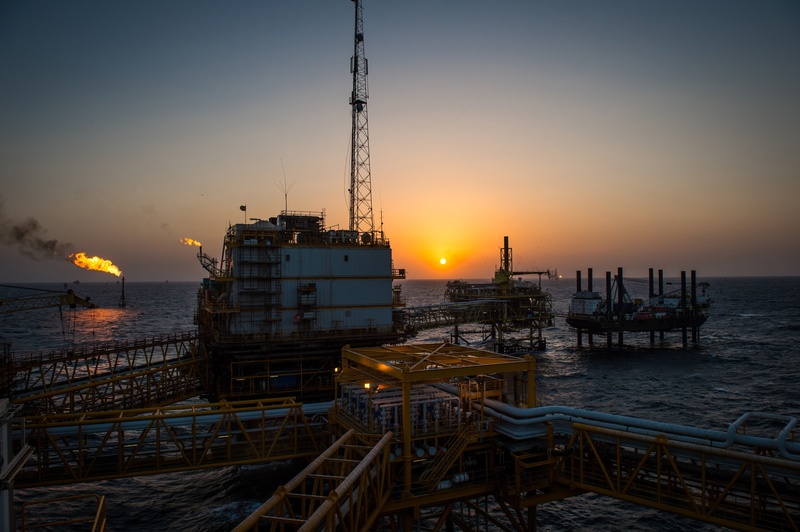 “If you approach decommissioning with a mind-set that it is just like production or capital projects, then you are going to get traditional costs and performance. “But every time we’ve broken that cycle we’ve been able to make step changes in safety and costs. 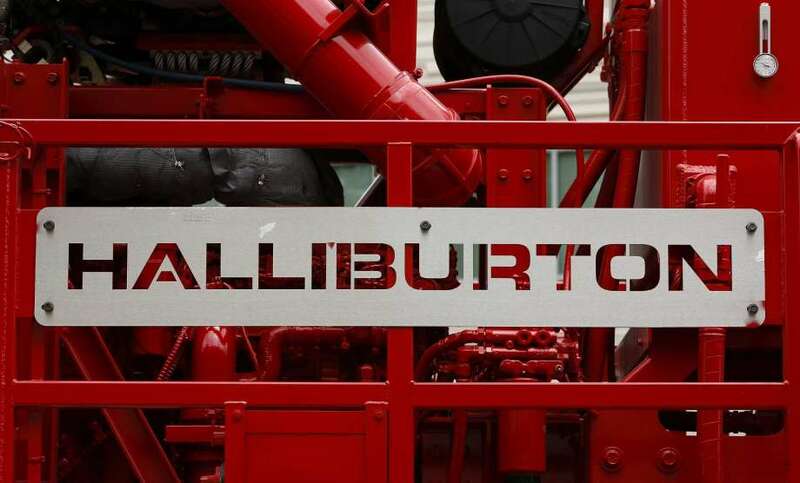 “Decommissioning is a fantastic playground for that. We have taken several billion pounds out of the costs through learning how to do things better. That’s good for shell and the tax payer. He added: “Brent Delta is a story about disruptive competition. In 2012, it was a very cosy heavy lift market with only a few players. “Allseas was disruptive in proving their technology. That triggered traditional players to say, ‘we’ve got competition’.